In the South, a beautiful system of family code exists like nowhere else: the matriarchy. The importance of the familial matriarchy cannot be understated, although perhaps it’s something you only understand if you grew up in it, something that seems unbalanced or foreign to others, these strong women who oversee their families with the deepest rooted love. But in reality it is she who reaches out with a seemingly unlimited number of arms holding everyone together, taking all the weight of her brood’s troubles on her own back, all with a gentle smiling demeanor and the politest of charm. Like other matriarchies, the females make all the necessary decisions for the family and take the gentlest control in nearly every situation. This is not to downgrade the importance of the paternal figures, but in reality the women maintain the home and family to the fullest extent. The difference between Southern matriarchies and those elsewhere is the emphasis Southern women put on their good graces and charm which precludes brash harshness or unladylike forceful rudeness, making their authority so subtle that if you aren’t looking for it, it is sometimes not even readily noticeable. They are neither domineering nor controlling, but rather know how to solve problems rather than fret and do their level best to take care of all that’s best for their kin. These are the women who hold entire families together singlehandedly when everything seems to be coming undone. These are the women who break their backs to further their family, whatever it takes. These are the women who wake early to greet the day and all it will involve perfectly coiffed and manicured, not because of some Stepford-esque urge, but because they don’t know any other way than to present themselves proper and well put together even when every part of their world is in turmoil. I know this from experience because I come from such a matriarchy. The women in my family play the dominant role, and that is not to say that my Papa isn’t the most important man in the world to our family and our patriarch, but when it comes to the actual family breakdown, my Granny, mother and aunts have always been the main decision makers, the worriers, the toilers, just as Granny’s mother and the women before her were. My admiration for them cannot be understated. Every day, my Granny is up in the dark a.m. hours, drinking her coffee and planning her day, and by sunrise she is neatly pressed and dressed, hair just so, and by noon she’s accomplished more than most people a third of her age do in a week. 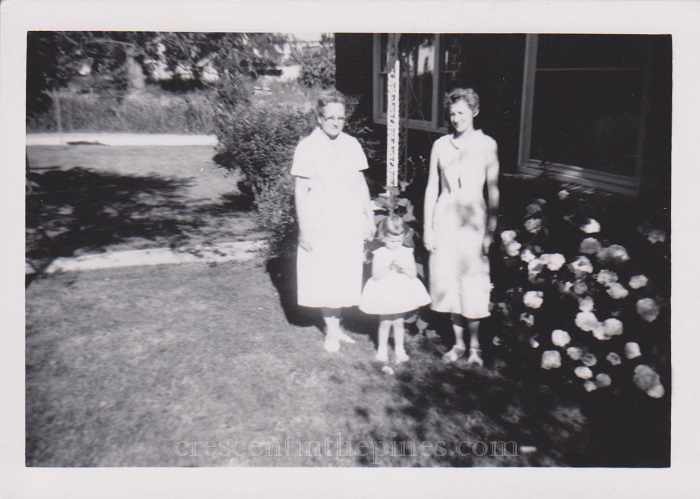 My mother and aunts have followed suit, each of them in their own way like our forerunners, and every day I see more and more how much I take after them. 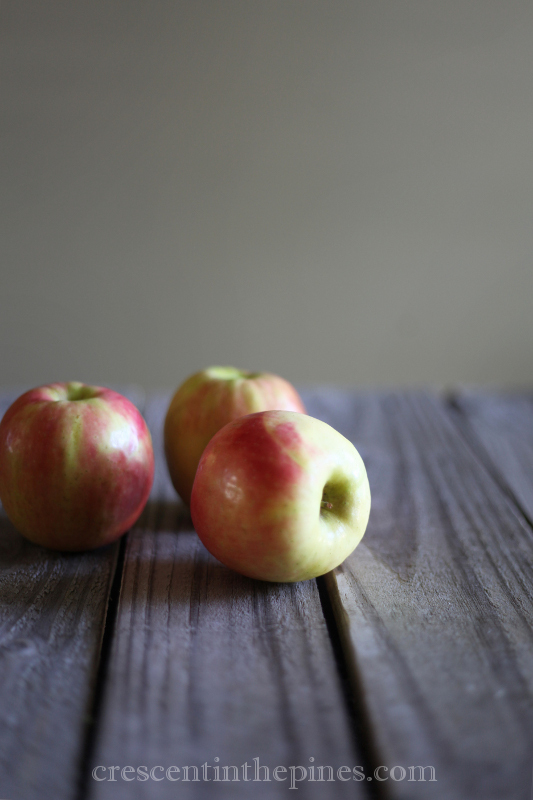 So today, inspired by mother’s day and the women of my family, I decided to share a remarkably simple recipe that was a favorite of my great granny, my granny’s mother, skillet apples. She adored apple, really fruit of all kinds, and insisted no meal was complete without dessert. This recipe can be either a dessert or a sweet breakfast when paired with biscuits. 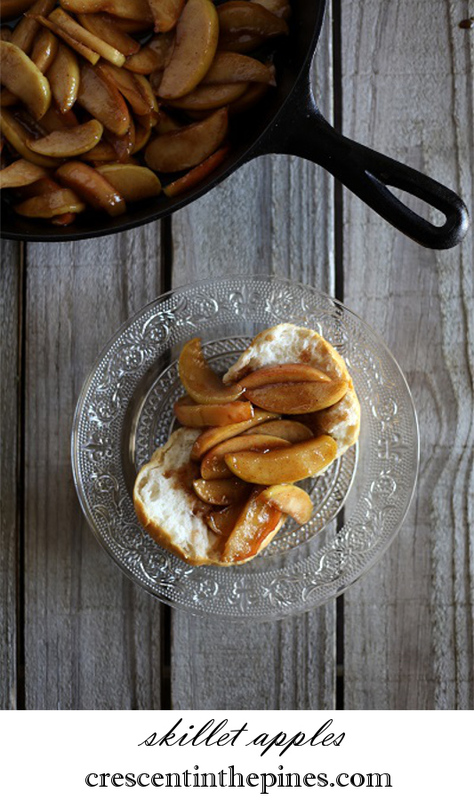 The brown sugar coating and juice from the apples heats into a glaze, while the cinnamon and spices lend a warm comforting flavor, beautifully matched with a hot cup of coffee. A little like apple pie filling for breakfast, these fried up beauties are a perfect topping for fluffy homemade biscuits and butter. Melt butter in a large cast iron skillet over medium high heat. Add apples and other ingredients, stirring to coat. Lower heat to medium and sauté apples for about 20 minutes. Serve over warm biscuits with butter.